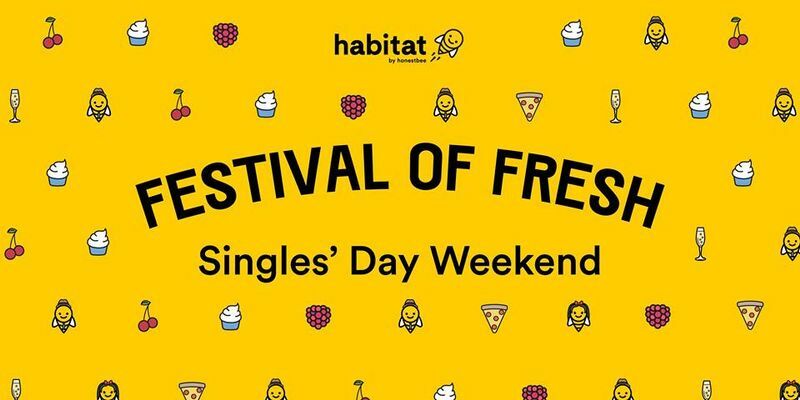 - In line with 11.11 weekend, we hope to encourage singles to come forward and mingle! If you're not single, come over and have some fun too. Join the traffic light party and tag yourself to meet someone new! Gear up to have some fun while playing the old-school arcade games, like Bishy Bashy, Hockey Table, Daytona, Foosball Table! Grab a fellow colour teammate (or try a new hue) and play in pairs—the possibilities are endless! - Taste what Japan’s Wakayama Prefecture has to offer with the sweetest mikans, white peaches and Kyoho grapes in jellies, jams and ice bars. - Live Canadian oysters at $1.90 each. - Fresh Norwegian salmon at $1.45 per 100gm. - Argentinian grass-fed ribeye at $5.32 per 100gm...all this and 20,000 other grocery items in one food wonderland! Patrons can also look forward eat fresh, including fluffy Japanese soufflé matcha pancakes from Poofy’s collaboration with Riz Labo Kitchen, roast meats from Char, beer-battered fish and chips from Fish and 15 other F&B concepts to nosh on!